Bananas are good for more than just quick breads and muffins. They are tasty in a lot of different desserts, and this tart is no exception. Rustic yet elegant, this banana puff pastry tart makes the perfect sweet ending to any dinner party. 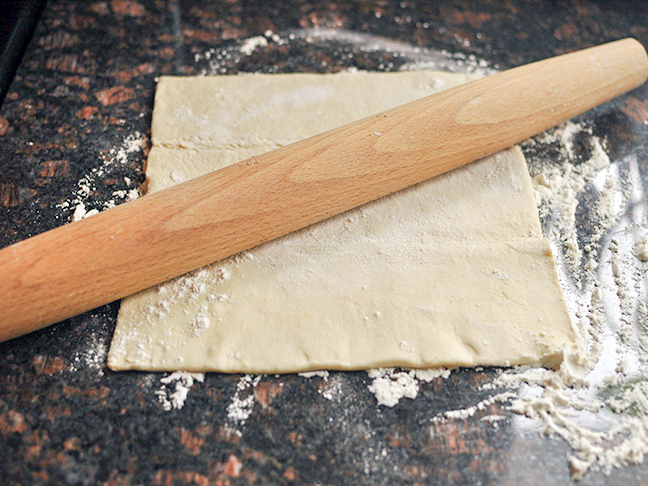 It all starts with store bought puff pastry dough and couldn't be simpler to toss together. 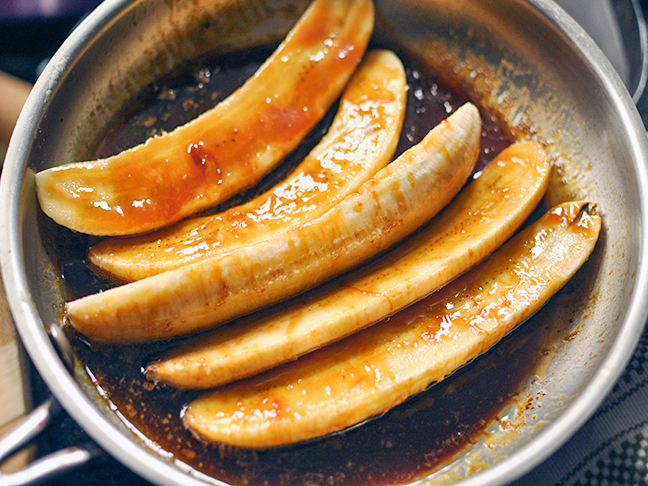 You'll love the flavor combo of banana & caramel. Step 1: Preheat oven to 375 degrees. Place one of the oven racks in the lower third portion of the oven. 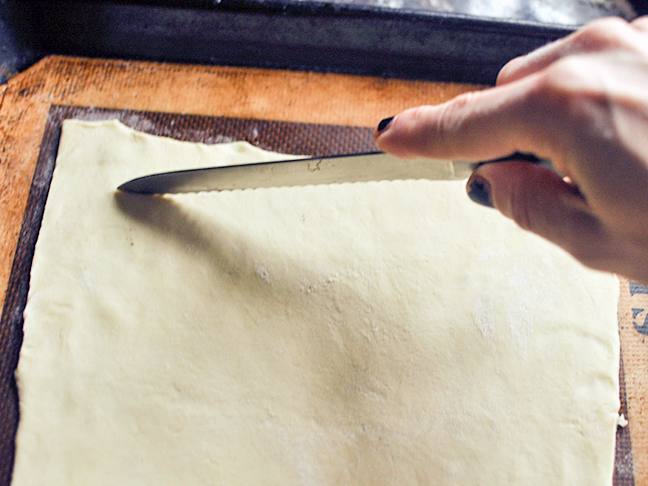 Line a baking sheet with a silicone liner or piece of parchment paper. Step 2: On a lightly floured surface, roll out the puff pastry to a 10x15 inch rectangle and trim the edges so they are neat. 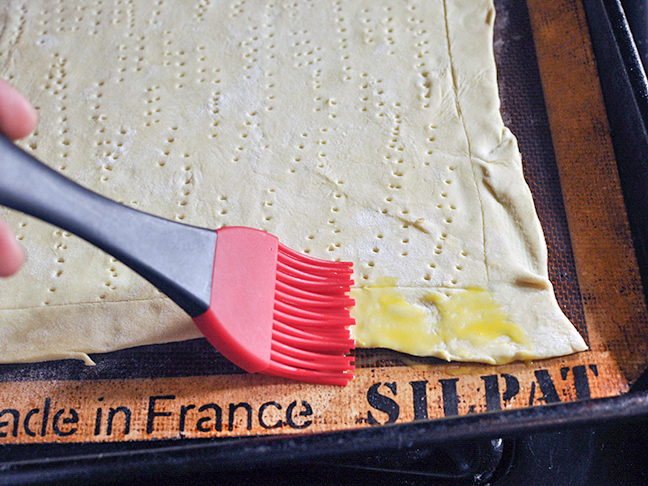 Score a half-inch border around the edge of the puff pastry. 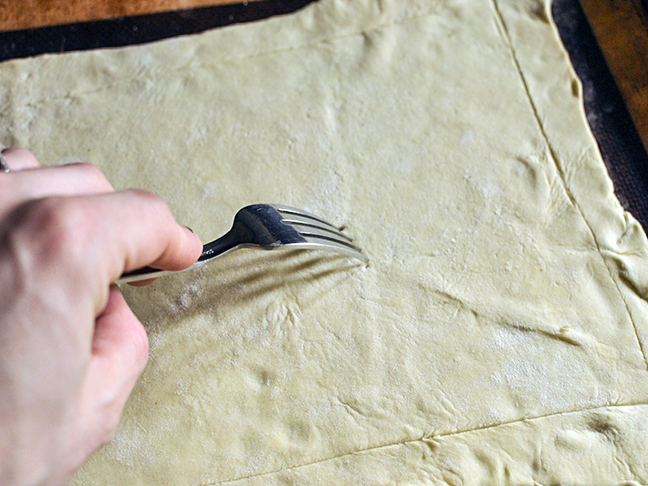 Transfer the pastry to the prepared baking sheet, prick the pastry inside the scored border with a fork, and brush with egg wash. Place the pastry into the fridge for 10 minutes to firm up a bit. Step 3: Bake for about 25-30 minutes or until the pastry is golden in color. 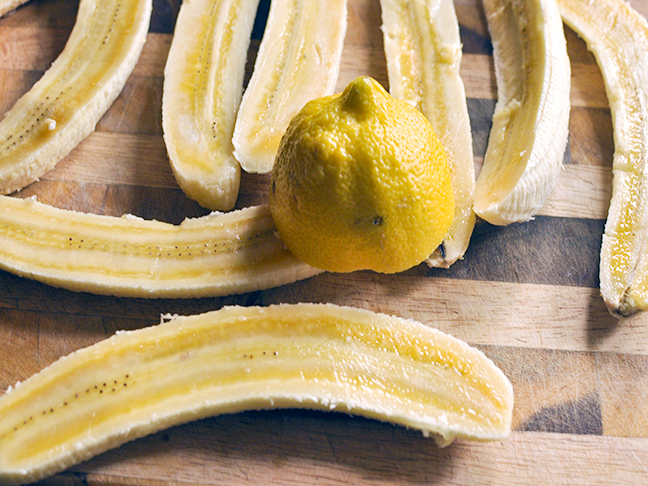 Step 4: Rub the bananas with lemon juice. 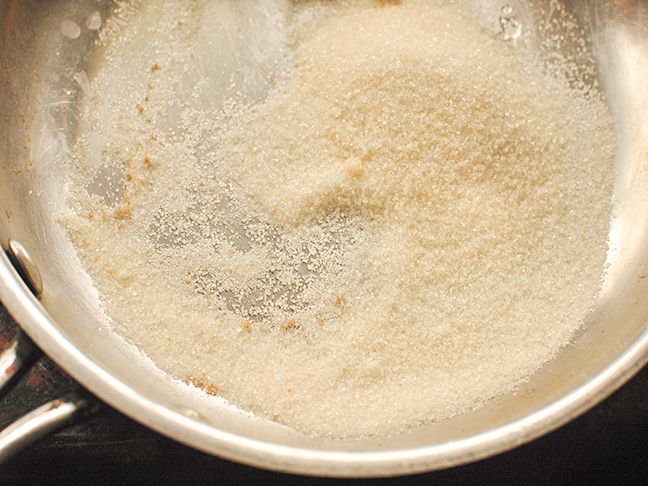 In a skillet, cook the sugar over medium heat, stirring until melted. 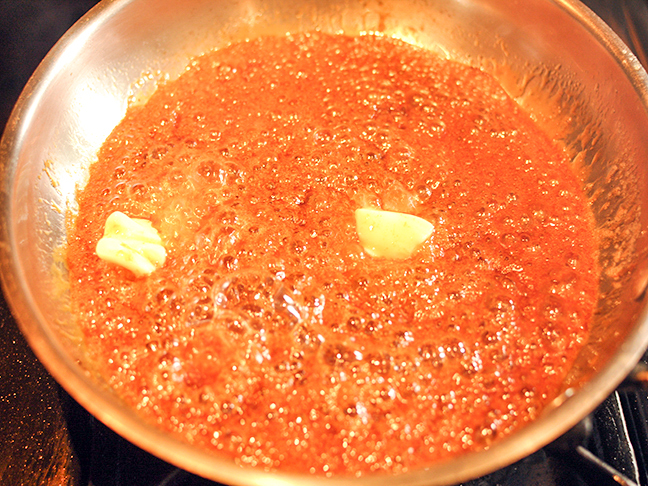 Cook without stirring the sugar until an amber color begins to form, about five minutes. Step 5: Remove from the heat and whisk in the butter and water. Add in the bananas and toss to coat. Step 6: Place the bananas side by side onto the baked pastry. 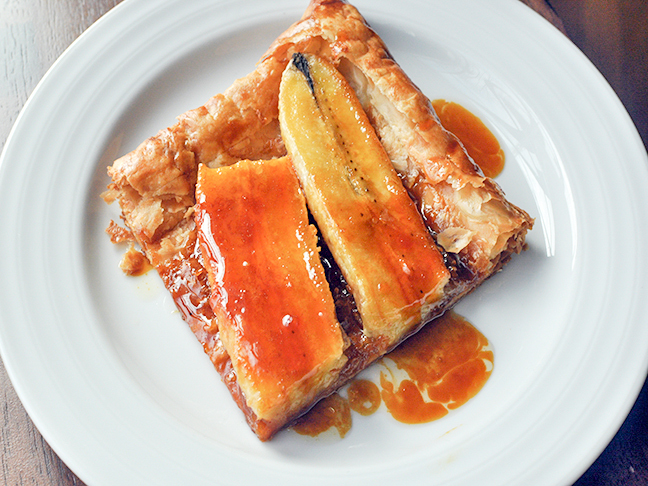 Drizzle remaining caramel over the bananas and bake tart in the oven for 15-20 minutes more. Cool slightly, cut into squares, and serve warm.